What is Learning and Organizational Effectiveness (LOE)? LOE supports the professional development of Saint Mary’s employees through training and development programs aligned with the college’s mission and strategic priorities. 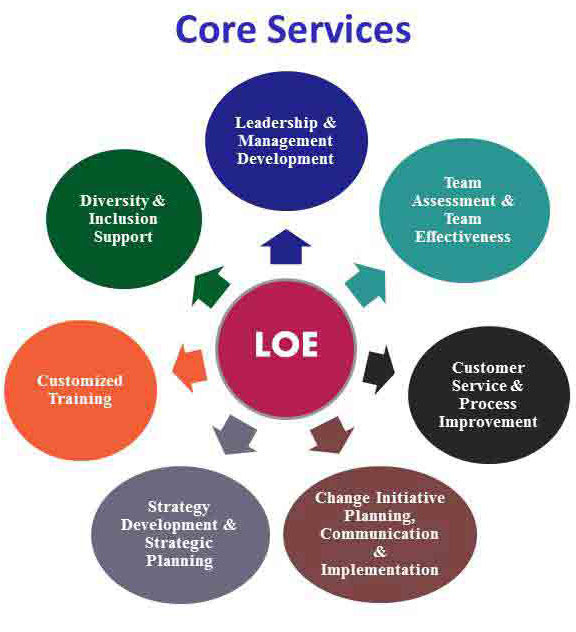 LOE is also a resource for campus leaders and supervisors who are seeking to strengthen team effectiveness, make organizational improvements, or implement strategic change. What is the LOE Mission? What specific services does LOE provide to our college community? Learning and Organizational Effectiveness at Saint Mary’s College of California provides an array of services to support professional development and organizational effectiveness across the campus. Feel free to contact Maura Wolf (mpw2@stmarys-ca.edu) Manager, Training & Professional Development for more information. Call X 4212 for information on enrolling in training programs. Call X 4910 for information on organizational effectiveness services.